Reaching more than 50,000 households, Ticket to Savings provides coupons to some of the best businesses in your area. From the finest local restaurants, to boutiques, sporting goods, professional services, and more, Ticket to Savings delivers the best deals directly to customers' mailboxes! 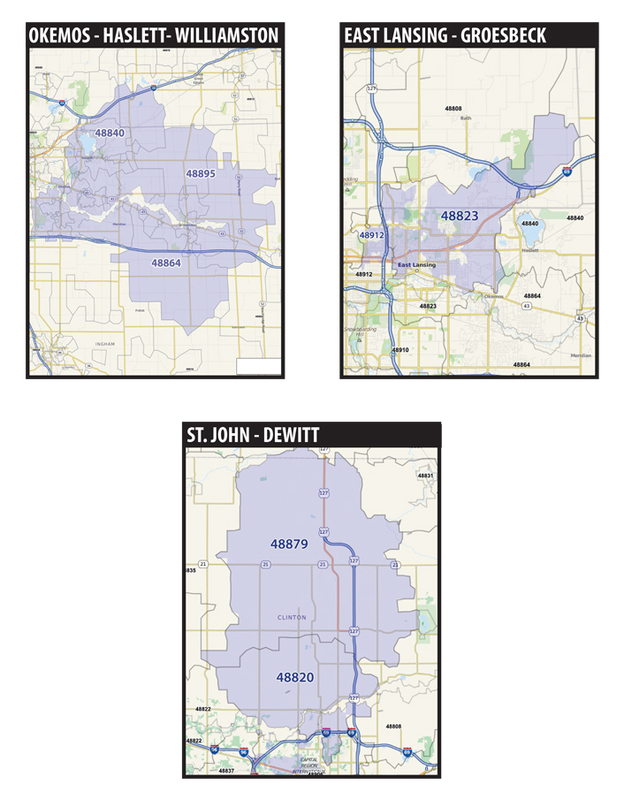 We currently have three areas in the Greater Lansing area. 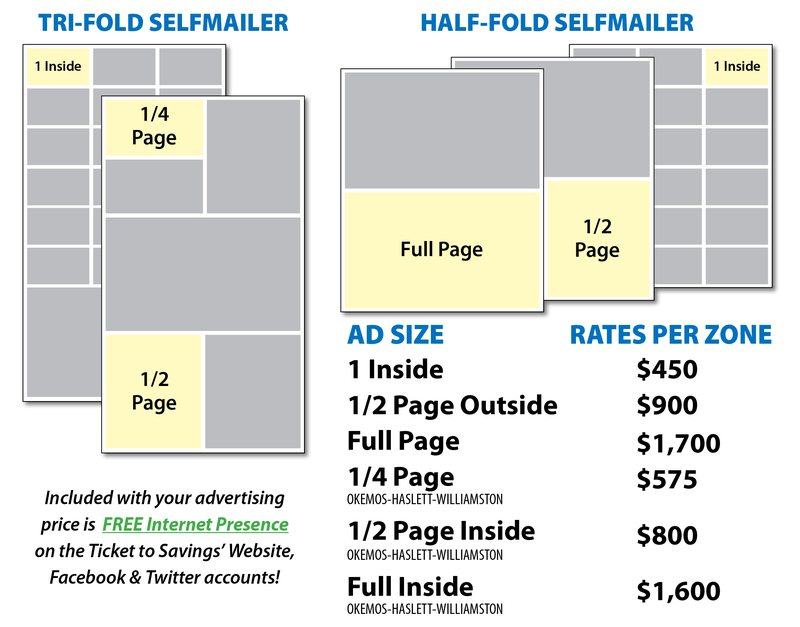 All mailers are full-color with a range of business card, 1/4 page and 1/2 page size adverting spaces. Contact us for design specs. Here are the drop dates with expiration dates for the 2019 calender year. If you have any question or wish to be on one of the mailers up please contact us! * All drop dates subject to change up to 72 hours.